They say sequels are never better than the original movie. This is the second time that Coqueta, the Giraffe stars in Barcelona Photoblog and I am almost sure this time you'll appreciate its beauty much better. Lots of images in this blog during the first year were taken with a lousy camera and besides there was the well known blogger picture size restriction problem. I did my best then but my gear evolved and so did my photographs. I just hope in the future I am able to give bad reviews about my past work, that would mean everything is getting better. As Socrates said, "true wisdom lies in recognizing one’s own ignorance". 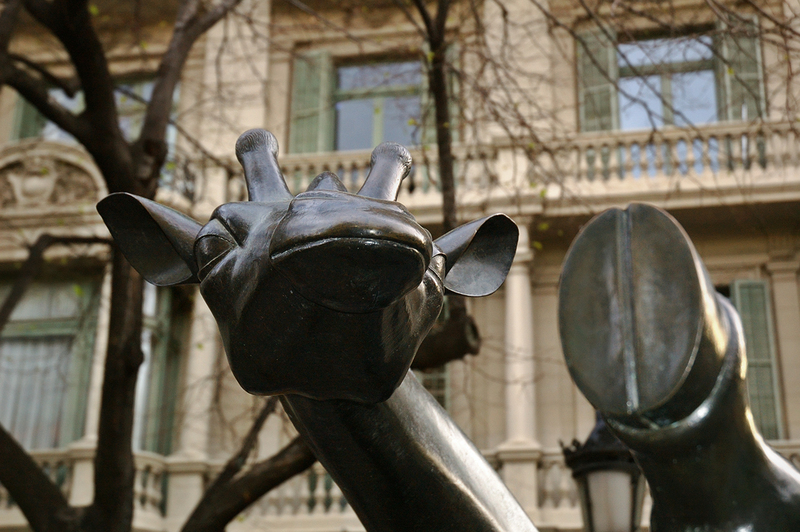 In case you want to know more about Coqueta sculpture or Josep Granyer the sculptor please visit my previous posts: Posing Giraffe and Bull by Josep Granyer.